Draft: 2003, Philadelphia Phillies, 20th rd. Brad Gregory Ziegler (zig-ler)...married to Kristen...has three children: Kaylin, Joshua and Lauryn...is a 2003 graduate of Southwest Missouri State University...graduated in 1998 from Odessa (Mo.) High School ...in 2014, became charter member of the Taylor Hooton Foundations' MLB Advisory Board...since 2010, supports members of the United States military and their families through his foundation "Pastime for Patriots," (pastimeforpatriots.org)...visited with U.S. troops stationed near Djibouti, Africa during a week-long autograph tour in December 2010...his father, Greg, has been a minister at two different churches over course of 31 years...one grandfather served in the Korean War and was a colonel in the Army...during a summer break in college, worked as a Civil War battlefield tour guide...enjoys collecting baseball cards and golfing...is a big sports fan and watches the Kansas City Chiefs, Kansas Jayhawks (season-ticket holder) and San Jose Sharks. Completed first season in Miami with 1-4 record, 10 saves (15 chances) and 4.79 ERA (47.0 ip/25 er)...Earned only win of season on April 22 at San Diego, tossing scoreless 10th inning...Tossed season-high 1.2 innings on May 27 vs. Angels. Was only appearance more than 1.0 inning...Placed on 10-day disabled list on June 22 (retro to June 21) and missed 31 games with right back strain...Reinstated on July 28 after two rehab starts; made first appearance on August 1 vs. Washington and earned first save of the season...Moved into closer role following trade of AJ Ramos and proceeded to go nine-for-nine in save opportunities before suffering first blown save on September 1 vs. Philadelphia ...In August, had no record, went nine-of-nine in save chances, and tossed 13.0 scoreless innings...Had 13 appearances in eighth inning, allowing just one unearned run over 12.0 innings...Posted ground ball percentage of 64.2, third-highest among NL relievers and seventh in the Majors. His groundball percentage was his lowest since a 54.4 mark in 2010 while with Oakland...Induced 10 GIDP, tied for fourth-most by an NL reliever, tied for 11th-most by a MLB reliever...Finished season with lowest home run percentage (0.47) since not allowing a single home run over the entire 2011 season...Established career high with six hit batters. Combined to go 4-7, 2.25 (68.0 ip/17 er) in 69 games between Arizona (36 games) and Boston (33)...Opened season with D-backs; posted 0.82 ERA (11.0/1) over first 10 outings before allowing three earned runs on April 30 vs. Colorado...ERA increased to season-high 3.72 through May 28; 20 of next 25 outings were scoreless, decreasing ERA to 2.56 at time of July 29 trade to Boston...Earned save in first two appearances for Boston, and held opponents scoreless over 3.0 innings in first three outings...Allowed three runs in fourth outing, on August. 11 vs. Yankees, but proceeded to allow just one earned run over next 18.1 innings (0.49 ERA) across last 21 appearances of season...Had scoreless innings streak of 17.2 frames (20 games) from Aug. 13-September 30; it marked second-longest streak of career by games, and third-longest by innings. Set career bests in saves (30) and WHIP (0.96) in his fifth season with Arizona, going 0-3 with a 1.85 ERA (14 ER in 68.0 IP) in 66 games...Is 1 of 3 pitchers to appear in 60 games in each of the last 6 seasons (also: Javier Lopez and Tyler Clippard)...Ranked among NL relievers in ERA (5th), save pct (5th, 93.8), WHIP (10th) and saves (T-10th)... Established a club single-season reliever record in ERA and save pct. and tied for sixth in saves...Tied a club record by converting 28 straight save opportunities to end the season (also: J.J. Putz from 2011-12)...Averaged a career-low 6.35 hits per 9.0 innings...Went 14-for-15 in save chances at Chase Field and posted a 1.36 ERA (6 ER in 39.2 IP)...Set the club's all-time appearance mark (254) on April 25 vs. Pirates... Made his 500th career appearance on June 19 vs. Padres...Threw 1.2 innings in a save on July 20 vs. Marlins, his longest outing for a save since June 22, 2009 vs. Giants (2.0 IP)...Had a 15-game scoreless streak from June 6-July 20 (16.2 IP)... D-backs nominee for the Bob Feller Act of Valor Award for the second straight season...nominees are evaluated on baseball accomplishments, integrity and character, service to our country, and community service. Went 5-3 with one save and a 3.49 ERA (26 ER in 67.0 IP) in 68 appearances in third full season with Arizona (fourth overall)... Underwent season-ending microfracture surgery on his left knee on Sept. 9 in Phoenix (performed by Dr. Michael Lee)...Finished fourth in the NL with 29 holds, the third most by a D-back in a single season…only Brandon Lyon (35 in 2007) and Tony Pena (30 in 2007) had more...Set a career high with 7.25 strikeouts per 9.0 IP and 29 holds, while his 54 strikeouts tied a career best (also 2009)...19.0-game scoreless streak from April 8-May 14 was tied for the third longest in club history (four others)... Recorded a career-low .183 average (17-for-93) vs. left-handers (.299 career average vs lefties entering the season)... Tied a career high with 4 strikeouts on July 9 vs. Marlins (also: June 22, 2009 vs. Giants)... Went 4-1 with a 2.42 ERA (13 ER in 48.1 IP) in the first half, boasting a career-best .198 average against (34-for-172)…22 of first 23 games were scoreless (two ER in 21.0 IP)...Named a finalist for the second annual Bob Feller Act of Valor Award…nominees are evaluated on baseball accomplishments, integrity and character, service to our country, and community service. Set career highs in wins (8), saves (13) and appearances (78) in his second full season with the D-backs…also fell 0.1 inning shy of matching his career high in 2009 (73.1)... Led NL relievers in appearances and tied for fi rst in wins with the Pirates' Vin Mazzaro... Tied for second on D-backs' all-time list in appearances with Byung-Hyun Kim (2001) and tied for third in relief wins with Kim (2002) and Stephen Randolph (2003)... Was 13-for-15 in save situations with a 1.80 ERA (3 ER in 15.0 IP)... Ended the season on a 7-game winning streak, the longest active streak in baseball... Led the Majors with 158 ground outs, the most by a NL reliever since the Braves' Jeff Bennett in 2008 (161)... Lowered his ERA from 2.44 (12 ER in 44.1 IP) in the fi rst half to 1.88 (6 ER in 28.2 IP) after the All-Star Break... Save on July 4 @ Mets was his fi rst since April 27, 2011 @ Angels. Established career highs in wins (6), appearances (77) andopponents average (.228) in his first full season with theD-backs...Ranked among NL relief leaders in grounded into double plays (1st, 21), wins (T-5th), home runs per 9.0 IP(6th, 0.26) and appearances (T-6th)...21 GIDP are a club record by a reliever and are the mostin baseball since the Orioles' Doug Sisk in 1988 (also 21)...14 fly balls were the fewest in the Majors (min. 30 G)...Allowed 11 of 54 (20.4 percent) inherited runners toscore...the 54 IR were fourth-most in the NL...Ranked third in the NL with a 1.13 ERA (3 ER in 24.0IP) on no rest and ranked fifth with 26 games...Notched his fourth win and first Major League hit onJune 22 vs. Cubs (single off Jeff Samardzija)...3 strikeouts also marked his most since April 10, 2010 @ Angels...Made a career-high-tying 7 consecutive hitless appearances from July 20-Aug. 4 (also Aug. 25-Sept. 8, 2011)...Homer allowed on Sept. 24 @ Rockies (Andrew Brown)was his first since June 30, 2010 @ Orioles, ending thelongest homerless streak (145.0 IP) since Roger Clemens(149.2 IP) from July 14, 1990-May 13, 1991 (Elias)...D-backs nominee for the Marvin Miller Man of the YearAward. Combined to go 3-2 with a 2.16 ERA (14 ER in 58.1 IP) in 66 relief appearances with the A's and D-backs...Was acquired from the A's on July 31 for INF Brandon Allen and LHP Jordan Noberto...Went 0-0 with a 1.74 ERA (4 ER in 20.2 IP) in 23 gameswith the D-backs and 3-2 with a 2.39 ERA (10 ER in37.1 IP) in 43 games with the A's...Limited right-handed hitters to a .188 (28for-149) average,seventh-best among all pitchers with at least 160plate appearances against...joined Giants' Javier Lopez as the only two pitchers in baseball to throw at least 50.0 innings without surrendering a home run...Allowed 37.3 percent (22-of-59) inherited runners to score...his 59 inherited runners were tied for the fourth most in all of baseball...Registered the save on April 27 @ Angels, his first since Sept. 18, 2009...POSTSEASON: Appeared in 2 NLDS games vs. Brewers...allowed 4 runs on 4 hits and 2 walks and did not record an out in Game 2. Was 3-7 with a 3.26 ERA in 64 relief appearances...the losses were a career-high and tied for most among American League relievers...his .300 winning percentage ranked second lowest among AL relievers... had the highest ERA of his career and matched his career-high in wins and walks (28)...nine of the walks were intentional, which led all AL pitchers...yielded four home runs in 60.2 innings after allowing just four home runs in 133.0 innings over the first two seasons of his career...did not save a game for the first time in his three seasons...combined for a 2.19 ERA and .200 opponents batting average in 24 games in April and May, posted a 6.57 ERA and .339 opponents average in 15 games in June, and had a 2.66 ERA and .217 opponents average in 25 games over the final three months of the season...allowed a .241 opponents batting average, which broke down to .213 (35-for-164) against right-handed hitters and .317 (19-for-60) against left-handers...surrendered three of his four home runs to lefties...had 17 walks and five strikeouts against lefties, 11 walks and 36 strikeouts against righties...his career splits are .230 (101-for-440) with two home runs, 30 walks and 95 strikeouts against right-handers, .312 (82- for-263) with six home runs, 48 walks and 30 strikeouts against left-handers...opponents were 5-for-28 (.179) with runners in scoring position and two outs...first batters faced were 11-for-60 (.183) with three walks...allowed 7 of 31 (22.6%) inherited runners to score...had a 1.69 ERA and .195 opponents batting average in 33 appearances in Oakland, compared to a 5.02 ERA and .288 opponents average in 31 games on the road...now has a 1.82 ERA (21 er in 103.2 ip) in 95 career outings in Oakland and a 3.30 ERA (33 er in 90.0 ip) in 85 games on the road...allowed all four of his home runs on the road, at night and before the All-Star Break...three came with runners on base...all eight of his career home runs have come at night, six have been hit on the road and six have come with runners on base...did not yield a run in four games and 5.0 innings against New York and now has not allowed a run in 10 career appearances against the Yankees (12.0 ip). OAKLAND: Issued a career-high tying two walks in his first outing April 5 against Seattle, his first of four two-walk games...allowed two unearned runs in the ninth and was tagged with the loss...worked in each of the first three games of the season...since 1995, the only A's pitcher to appear in each of the teams first three games was Keith Foulke in 2008, but that was the year the A's opened in Japan and had five days off between games two and three...the last prior to Foulke was Bill Taylor in 1994...allowed three runs at Seattle April 13 for his second loss of the season but did not allow a run in nine of his next 10 appearances (0.87 ERA, .125 opponents average)...compiled a 1.93 ERA in 13 appearances in May, winning each of his two decisions...tossed a season-high 2.1 scoreless innings May 29 at Detroit, his second career outing over 2.0 innings (3.0 vs. Kansas City, July 30, 2008)...was charged with the blown save in back-to-back outings June 27 against Pittsburgh and June 30 at Baltimore...had appeared in 39 of the A's 79 games through the end of June but pitched in just 25 of 83 games the rest of the way... committed the first error of his career Aug. 6 against Texas, snapping a career opening 163-game errorless streak...the error came on a pickoff attempt and he followed it up with a balk to force in a run... did not pitch again until Aug. 15, but started a season best 12-game, 11.1-inning scoreless streak that day which ran through Sept. 22...the scoreless streak fueled a 1.50 ERA in August but it came to an end Sept. 22 against Chicago when he allowed two runs in the ninth inning for the blown save and loss in a 4-3 decision...took the loss in three of his final four appearances...the three-game losing streak matches the longest of his career. Was 2-4 with seven saves and a 3.07 ERA in 69 relief appearances...allowed two home runs in 73.1 innings for an average of 0.25 per nine innings, the third lowest mark among American League relievers...now has yielded four home runs in 133.0 career innings or 0.27 per nine innings...led AL relievers andranked second in the majors with 14 grounded into double plays (Affeldt, SF 18)...tied for the ML leadwith 20 opponents GIDP in 2008...ranked third among AL relievers in most hits allowed (82) and hada .293 opponents batting average...that included a .265 (45 for 170) mark against right-handed hittersand .336 (37 for 110) against left-handers...had 10 walks and 40 strikeouts against righties and 18 walksand 14 strikeouts against lefties...his career splits are .239 (66 for 276) with 19 walks and 59 strikeoutsagainst right-handed hitters and .310 (63 for 203) with 31 walks and 25 strikeouts against left-handers...has allowed three of his four career home runs to a lefty for a .458 slugging percentage, compared to.283 against right-handers...opponents hit .384 with runners in scoring position after allowing a .116average in that situation in 2008...first batters were 19 for 64 (.297) with four walks and he allowed 12of 31 (38.7%) inherited runners to score...converted 7 of 10 (70.0%) save opportunities...posted a 2.41ERA in 37 appearances in Oakland and had a 3.90 ERA in 32 outings on the road...is now 4-0 with a1.88 ERA (15 er in 71.2 ip) in 62 career appearances in the Coliseum...had a 4.44 ERA and .354 opponentsbatting average in 22 day games and a 2.39 ERA and .260 opponents average in 47 games atnight...compiled a 1.86 ERA in interleague play and had a 3.25 ERA against the AL...now has a 1.17ERA (2 er in 15.1 ip) in 16 career interleague appearances...the opponents number four hitter was 3 for31 (.097) off him...did not commit an error in 23 total chances, which were the second most chancesamong AL relievers with no errors...has not committed an error in 37 career chances...pitched for theUnited States in the World Baseball Classic and posted an 8.10 ERA (3.1 ip, 8 h, 3 r, 3 er, 1 bb, 1 hr, 1hb) in four appearances. Began the season at Triple-A Sacramento and was selected by Oakland on May 30...made his MajorLeague debut the next day at Texas, allowed a RBI single to the only batter he faced (Kinsler) and then picked him off for his first ML out...according to Retrosheet, he became the 13th pitcher since 1956 to record his first ML outon a pickoff...he is the second Athletic as Mike Norris did it on April 10, 1975 against Chicago...recorded his first ML win on June 8 against Los Angeles when he tossed 1.2 scoreless innings...retired 19 consecutive batters fromJune 20 to July 7...tossed a career high 3.0 innings on July 30 against Kansas City to put his scoreless streak at30.0 innings...recorded his first save on August 8 at Detroit by tossing 2.0 scoreless innings...had three six-outsaves and five saves of more than three outs...posted a 2.55 ERA in 20 outings after taking over as closer on August8...extended his scoreless streak to 39.0 innings with a scoreless eighth inning on August 14 against Tampa Bay butthen allowed a RBI double to B.J. Upton in the ninth inning to end the streak...the double was the first extra basehit he allowed in his career and the 122-at bat streak without an extra base hit to start his career was the longestsuch streak since Cisco Carlos had a 145-at bat streak for the White Sox from 1967-68...compiled a 2.91 ERA fromAugust 14 until the end of the season...converted each of his first nine save opportunities before he was chargedwith his first blown save on September 17 against Los Angeles...allowed a two-run home run to Mark Teixeira inthe ninth inning to snap a career opening 41-game, 54.0-inning, 204-batter faced homerless streak...it was hisfirst home run allowed as a professional since September 3, 2006 against Frisco (Ben Harrison) while pitching forDouble-A Midland, snapping a streak of 110 games, 156.2 innings and 610 batters faced without home run in boththe majors and minors...his second blown save came on September 22 at Texas and that was also the result of ahome run (Hank Blalock), but the A's came back to win both of the games in which he blew the save...his seasonERA was at 0.92 at the conclusion of play on September 22 but he allowed one run in 1.0 inning in his final outingon September 27 at Seattle to finish the season with a 1.06 ERA. Pitched exclusively in relief for the first time since joining the Athletics organization and combined for a 12-3 record, two saves and a 2.41 ERA in 50 appearances with Double-A Midland and Triple-A Sacramento...did not allow a home run in 78.1 innings...the 12 wins led the A's farm system and matched his career high...the appearances were a career high and the ERA was his lowest since joining the A's organization in 2004...walked 18 and struck out 62 for a strikeout to walk ratio of 3.4...allowed a .227 batting average, including .174 (32 for 184) against right-handed hitters and .324 (33 for 102) against left-handers...opponents hit .208 with runners in scoring position...allowed 8 of 28 (28.6%) inherited runners to score and converted 2 of 4 (50.0%) save opportunities...began the year at Midland and went 4-0 with a 1.14 ERA and one save in 15 appearances...did not allow a run in six outings on the road (10.0 ip)...was transferred to Sacramento on May 25 and was 8-3 with a 2.96 ERA and one save in 35 appearances...had a 1.56 ERA in 21 appearances at home and a 5.40 ERA in 14 appearances on the road...tied for second on the River Cats pitching staff in wins and was third in appearances...tossed at least one inning in 42 of his 50 outings, including two or more 19 times...did not allow a run in 12 of his 15 outings with Midland...including a pair of six-game scoreless streaks from April 9 to 27 (8.1 ip) and May 5 to 19 (10.1 ip)...recorded his first professional save on May 3 against Corpus Christi (2.0 ip, 3 h, 2 r, 1 er, 1 so)...tossed a season high 3.2 innings on May 12 against San Antonio and did not allow a run...allowed at least one run in seven of his first nine outings with Sacramento...yielded 13 runs, 12 earned, in 18.0 innings over that stretch from May 27 to June 16 (6.00 ERA)...then did not allow a run in 20 of his final 26 outings and compiled a 1.47 ERA over that stretch...struck out a season high five batters in 2.2 innings on June 4 against Round Rock...walked three batters in 1.2 innings on August 6 against Oklahoma, the only time he walked more than one batter in an outing...did not allow a run or a hit over his final five outings (8.0 ip)...then went 1-1 with two saves and a 2.45 ERA in five postseason appearances for the Pacific Coast League Champion River Cats (7.1 ip, 6 h, 3 r, 2 er, 2 bb, 6 so). Was named to the Texas League Postseason All-Star Team after going 9-6 with a 3.37 ERA in 23 games, 22 starts at Double-A Midland...ranked second in the TL in ERA...also went 0-1 with a 6.00 ERA in four starts with Triple-A Sacramento and was a combined 9-7 with a 3.71 ERA in 27 games, 26 starts...the ERA was fourth lowest in the A's farm system...had career highs in innings pitched (162.2), walks (42) and home runs (20)...allowed a .290 opponents batting average, which included a .289 mark against right-handed hitters and .292 against left-handers...allowed 15 of his 20 home runs against righties and 12 of his round trippers were solo shots...68 of his 99 strikeouts were against right-handed hitters...his opponents average dropped to .260 with runners in scoring position, including .203 with RISP and two outs...tied for the lead among TL pitchers in double plays (5)...began the season at Midland and went 2-0 with a 1.09 ERA in four starts in April...the two wins came in his first two starts on April 9 at Frisco (1 r in 7.0 ip) and April 15 at San Antonio (1 r in 6.0 ip), earning him TL Pitcher of the Week honors for the week of April 6-16...then allowed six home runs in 3.0 innings in a loss on May 2 at Tulsa (8 h, 7 r, 7 er, 1 bb, 2 so)...went 5-5 with a 3.81 ERA in 14 starts from May 2 to July 10 and was transferred to Sacramento on July 12...was sent back to Midland on August 10 and went 2-1 with a 3.95 ERA over his final five appearances with the Rockhounds. Spent most of the season at Single-A Stockton where he was 9-7 with a 4.66 ERA in 24 games, all starts...ranked second in the California League in strikeouts (144) and led CL starters in strikeouts per nine innings (9.19) and fewest walks per nine innings (1.28)...led the Ports in starts, innings pitched (141.0) and strikeouts...was promoted to Double-A Midland on August 15 and went 2-1 with a 6.86 ERA in four starts with the Rockhounds...combined at both stops for an 11-8 record and a 4.94 ERA in 28 starts...led the A's farm system with 164 strikeouts and tied for fourth in wins...issued just 24 walks for a strikeout to walk ratio of 6.8...had career highs in starts, strikeouts and losses...allowed a .291 opponents batting average, including .287 against left-handers and .294 against right-handers...allowed 10 of his 14 home runs off righties...opponents hit .314 with runners in scoring position but just .208 with RISP and two outs...while pitching for Stockton, he was 8-2 with a 3.48 ERA and .246 opponents batting average in 13 starts at home and 1-5 with a 6.47 ERA and .347 opponents batting average in 11 starts on the road...went 5-6 with a 6.14 ERA over his first 17 starts and 4-1 with a 1.85 ERA over his final seven starts before his promotion to Midland...struck out a season high 10 on August 7 against Lake Elsinore...went 2-0 with a 3.00 ERA in his first three starts at Double-A before allowing 10 runs in 3.0 innings in his final start on September 3 at Frisco...then helped Midland to the Texas League Championship by going 1-0 with a 3.27 ERA in two postseason starts (11.0 ip, 12 h, 4 r, 4 er, 2 bb, 13 so). Was released by the Phillies organization on March 28 and signed with Schaumburg of the independent Northern League...went 3-0 with a 1.50 ERA and .150 opponents batting in four starts for the Flyers...struck out 26 and walked just one without allowing a home run in 24.0 innings...was signed by the Oakland Athletic organization to a minor league contract on June 18 and went 9-2 with a 3.90 ERA in 16 games, 15 starts, with Single-A Modesto...combined at both stops for a 12-2 record, a 3.40 ERA and a .242 opponents batting average in 20 games, 19 starts...the wins established a career high. Was selected by the Philadelphia Phillies in the 20th round of the draft and began his professional career on the disabled list with right bicep tendinitis...was reinstated from the DL on August 25 and made three relief appearances for Single-A Batavia of the short season New York-Penn League...was 1-0 with a 1.50 ERA and .227 opponents batting average in three relief appearances. Who is Mark Loretta rooting for this October? October 10, 2018 RHP Brad Ziegler retired. 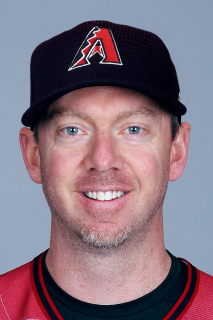 August 2, 2018 Arizona Diamondbacks activated RHP Brad Ziegler. July 31, 2018 Miami Marlins traded RHP Brad Ziegler to Arizona Diamondbacks for RHP Tommy Eveld. July 29, 2017 Miami Marlins activated RHP Brad Ziegler from the 10-day disabled list. July 27, 2017 Miami Marlins sent RHP Brad Ziegler on a rehab assignment to Jupiter Hammerheads. July 25, 2017 Miami Marlins sent RHP Brad Ziegler on a rehab assignment to GCL Marlins. June 22, 2017 Miami Marlins placed RHP Brad Ziegler on the 10-day disabled list retroactive to June 21, 2017. Back strain. December 23, 2016 Miami Marlins signed free agent RHP Brad Ziegler. November 3, 2016 RHP Brad Ziegler elected free agency. July 10, 2016 Boston Red Sox activated RHP Brad Ziegler. July 9, 2016 Arizona Diamondbacks traded RHP Brad Ziegler to Boston Red Sox for RHP Jose Almonte and 2B Luis Alejandro Basabe. August 1, 2011 Arizona Diamondbacks activated RHP Brad Ziegler.